Control valves are an essential part of process and chemical engineering. The connection between controller and plant is realised with control valves as actuators. Control valves are usually used to regulate flows of gases or liquids. Optimum control loop design depends on a sound knowledge of control valve behaviour as well as a knowledge of the controlled system's response. 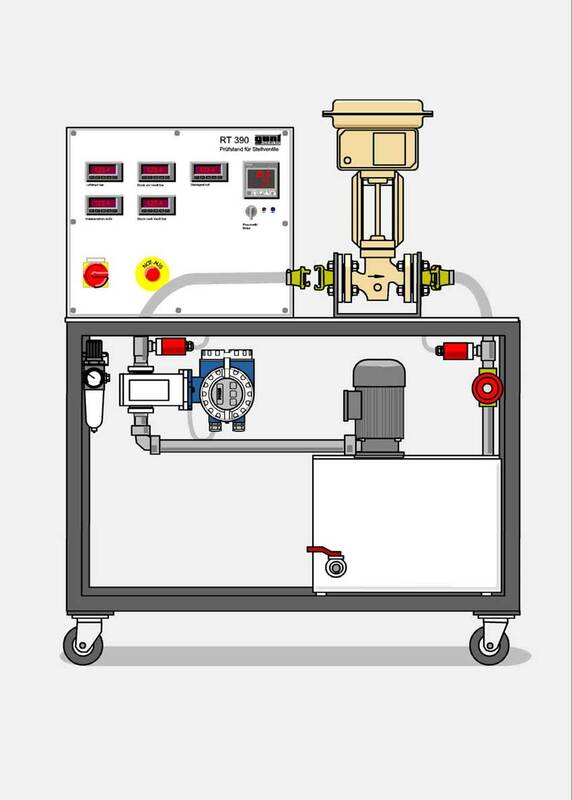 This mobile test stand allows to investigate and study control valves of different types. For this purpose the valve is installed in a closed water circuit with a pressure pump and a supply tank. Flow rate and pressure drop across the valve are measured. The trigger signal is generated by potentiometers and indicated on a display. Electrically operated motor valves can be investigated as well as pneumatic control valves. A data acquisition system can be used to record and evaluate characteristics and step responses on a PC. Site generate in 0.086 seconds.